Cold Pressed. Jojoba Oil is amazingly versatile, and provides a wide range of anti-aging, moisturising and softening benefits to both skin and hair. Native Americans used this oil as a healing salve to soothe all manner of skin problems and to condition their hair. This natural oil has a unique chemical structure in the plant world, and produces large quantities of liquid wax esters similar to sebum which is the skins own natural lubricant, making it one of the very finest natural emollients for skin and hair. Due to this fact, Jojoba oil is highly compatible with all skin types since it mixes with the sebum on skin to create a thin layer of natural, long lasting protection against harsh environmental elements while still allowing skin to breathe. Quinessence Jojoba Carrier Oil is cold pressed and unrefined, which means it is rich in the essential fatty acids that provide the moisturising and softening benefits to both skin and hair. However, this does mean that this product has a faint but noticeable fatty/oily aroma, but when your essential oils are added this is masked. A type of jojoba oil is available that has very little aroma, but to make it like this it has been refined which removes nearly all of the essential fatty acids - and all the therapeutic and beautifying properties too! 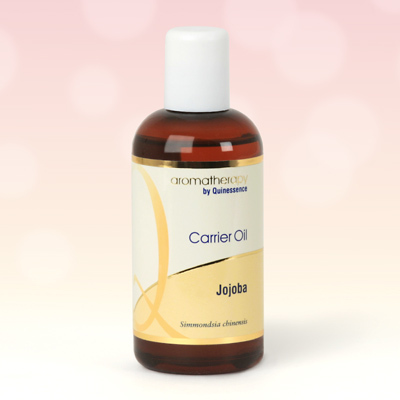 Unrefined carrier oils are always the best for your skin.